Advertising gets a bad rap sometimes, and advertisers themselves doubly so. Jerry Seinfeld at the Clio Awards, in a speech that skewered and lambasted the industry which was giving him an award, pointed to the idea that advertisers lie and that there is something in essence dishonest about what advertising does. It’s not a new complaint. Bruce Robinson’s How To Get Ahead In Advertising cast Richard Grant as an advertising exec who develops a conscience whilst working on a pimple cream campaign – a huge sentient boil with its own beliefs starts to grow on his shoulder. The boil has a much more ruthless attitude to advertising, and during an operation to remove it it eventually supplants his head, and it flourishes where he was floundering. It is not an attractive picture. Richard Grant also played Gordon Comstock in a film adaptation of Keep The Aspidistra Flying, Orwell’s attack on the money-obsessed advertising industry, where advertising is seen as something tawdry and lesser, and Comstock’s pursuit of literature and poetry is deemed much more worthwhile. Seinfeld’s claim that: “I love advertising because I love lying. In advertising everything is the way you wish it was,” does highlight some issues with some companies and their general approach to selling things, but it doesn’t have to be this way. If there is one thing that is going to make a salesman or a company fail, it is the fact that their advertising copy is not based in reality. 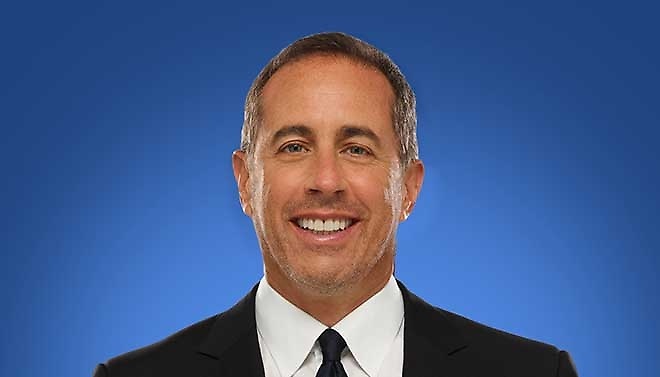 Seinfeld says: “In between seeing the commercial and owning the thing I am happy.” He bemoans the fact that the product is not what he was sold, and he tells a tale of ad execs crowding the stage to grab a Clio, not for anything they did, but because there was an error that saw them left behind on stage. This he claimed was an uncharacteristic moment of honesty for those in the industry who succumbed to temptation. He is a funny guy, that goes without saying, and his speech is funny, but there had to be more than one audience member wriggling uncomfortably in their seats. How do you use marketing to salvage or improve your reputation? You publicize the truth and the good things that you have done. How do you let people know that your company has helped people? You get real customers to give you testimonials. If you build a campaign that is based on falsehood and dupe people into buying your product, it isn’t going to be long before you have a Twitter or Facebook backlash, or before your website gets deluged in bad comments. Advertising puts Baseball fields in place; good acts boost charity contributions; the health industry gets a helping hand every now and then from an advertising conglomerate. How would you know what your favorite band, brand, or actor is doing without the power of advertising? The dishonest sweaty stench of the used car saleman stereotype or the feckless amoral yuppy looking to screw over poor zombie minded average Joe Public just isn’t true any more. From Dre to Tony Hawks to Michael Robinson of the Seattle Seahawks, and beyond, being savvy about advertising is no longer considered as a black mark against your name, in fact it means that, like Kristin Hersh, you can fund your albums and your tours because your fans like the personal touch. Kickstarter it, crowdsource it … it’s all advertising. And the cool thing is, it doesn’t have to go anywhere near a lie.